Watering and irrigating your garden area is not as easy as you might think. Every plant requires a different amount of water to replenish itself otherwise, water damage may occur. If you water your garden for too long then you can cause fungus to grow while not watering enough can cause plants and flowers to die. Watering your garden from too high up can cause hydration loss due to evaporation. Here are some useful tips covering how to properly irrigate your garden. The correct time to water your garden is early in the morning when the rays of the sun are not as strong. The ground is very soft and cool, and it has a lot of time to absorb all the moisture before the night falls. However, if you water your garden in the evening then you will attract bugs, insects and fungus because, the ground is hard and warm in the evening and the bugs are looking for a cool place to find shelter. 2. What is the perfect strategy? The best way to water your garden is through the interval method. Water the plants deeply and on a few intervals. This way the water will be able to reach the roots of the plants providing the essential nutrients. Watering your plants often, even if you water them lightly, may cause the roots to grow too shallow. 3. Where to water? The roots or the plant? The best place to water the plants is near their roots near the base. Avoid watering the foliage as it may cause fungus to grow on your plant and can prevent the moisture from reaching the base of the plant. When watering, hit the plant on its root or base to transfer the water to the rest of the plant most effectively. Make sure that the irrigation systems you install are close to the ground. Using sprinklers that spray from a height can waste much of the water as it simply evaporates away. 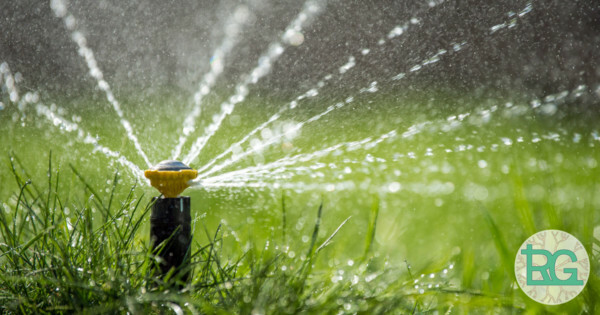 However, if you have new trees or shrubs planted in your garden then it is better to directly water them instead of relying on the sprinklers and other irrigation systems. Do not over drench them. Make sure to directly water them after every seven to ten days. If you are looking for gardening services in Toronto, then you should give Rainbow Gardening a call. Contact us to learn more about our years of experience and variety of services.